• The animal could have measured four to five meters long and with a diet exclusively of leaves and herbs, sometimes of grains, was an herbivore that lived in the Quaternary period. 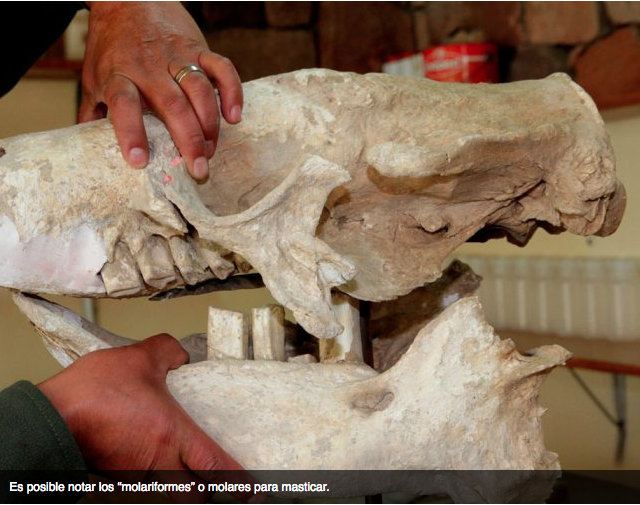 The fossilized skull of a lazy bear found with its almost complete skeleton in the region of Santiago de Andamarca in the department of Oruro, goes through a process of conservation with the consolidation of the bones and the cleaning of the sediments for a later study with the rest of the giant mammal bone, informed the paleontologist Bernardino Mamani of the National Museum of Natural History (MNHN). The animal could have measured four to five meters long and with a diet exclusively of leaves and herbs, sometimes of grains, was an herbivore that lived in the Quaternary period about two million years ago. “The studies, once the cleaning of the bones is finished, will be able to determine with greater precision the antiquity of the animal,” specified the paleontologist who is a specialist in vertebrate fossils. 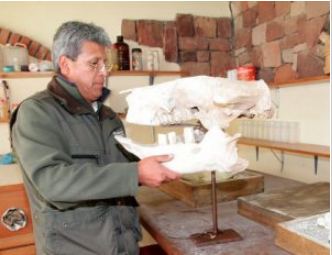 Bernardino Mamani believes that almost everywhere in Bolivia there is a diversity of fossils of ancient fauna and of different geological ages with a paleontological potential. 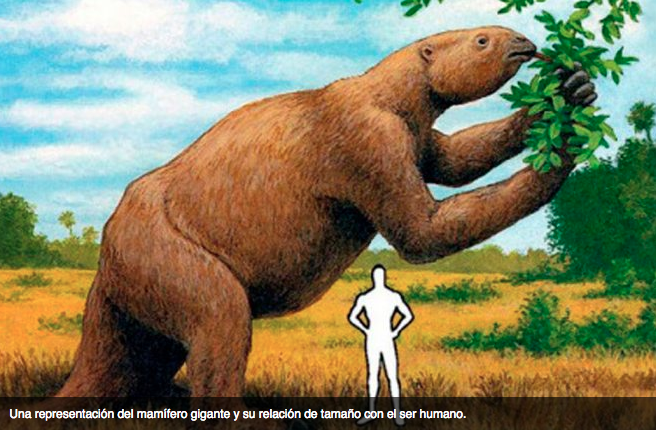 “In the Bolivian territory, depending on what you are looking for, it is possible to find animals from the last 570 million years from the Paleozoic to the Cenozoic,” the expert remarked. He exemplified that in Tarija there is a very modern animal fossil site from a million years ago of the Quaternary, while in La Paz in the Salla region it is possible to locate animals from 25 million years ago, other older ones are found in the site of Willkapujllu in Oruro that inhabited just when the dinosaurs disappeared, 65 million years ago. Another paleontological site is located in the Chacaltaya region, where the disappearance of the glacier revealed marine fossils from more than 250 million years ago. “This shows the diversity of the paleofauna (ancient fauna) of different geological ages that are found in our territory,” reiterated Mamani. This entry was posted in Bolivia, Environment, Tourism and tagged Bolivian heritage, fossil, Oruro. Bookmark the permalink.